"Players don't care what you know until they know you care"
Discussing coaching styles, Deans referenced ideas including encouraging effort, offering players choices or ability to make decisions and preparing your group to encourage them to take ownership and responsibility, encouraging ideas such as peer modelling and 360 degree feedback. He echoed another strong statement from the day of ignoring the focus on shape and structure, encouraging more and different opportunities for decision making at training, reminding coaches of the importance of clear communication and terminology as the areas and terms you empathise shall be what the players follow and adhere to. This point was echoed further later by Michael Cheika by him believing that "players become more like you the more you show belief". Simon Manix was next to address the group; current head coach of Pau in the Top 14 having previously worked as backs coach for Munster and Racing Metro. Mannix played one test for the All Blacks versus France in 1994, an area he touched on immediately. His sole cap tormented him with a feeling of failure and shaped his coaching philosophy going forward. He immediately looked to leave NZ, embracing the culturally challenging yet rewarding atmosphere of French sides, having been involved in the structurally rigid and historically steeped atmosphere of Munster. He underlined the importance of challenging players and stressed his ideals for his players are to play with enjoyment and excitement for prolonged motivation and passion, areas he finds as extremely important. 2107 Super winning coach. Scott Robertson was next to address the group regarding culture and how he assisted building this within Canterbury Crusaders' organisation; he admitted this was both challenging and effortless, having 16 Crusaders' centurions, plenty of All Blacks within the squad yet working out how to show his personality in group also . He worked with Kiwi anthropologist, Michael Henderson looking at all factors relating to culture; he addressed the group through questioning how sounds, symbols, stories, sequence, smells, stage, space and significance all tie in to how players or groups "buy into" the culture. He empathised the strong, personal relationships he had with playing members and especially his team leaders including Sam Whitelock. He talked how he would assist setting the plan and goals yet really came down to the players to implement and drive improvement. Ideas to review and improvement are always shaped through solution based meetings and positive interactions and conversations, using constructive not destructive language. Honesty was another theme within his philosophy - players identifying their role and "doing the right thing" right through to honest mentoring from other coaches such as Rob Penney. Closing out the day, Michael Cheika and Mick Byrne (ARU National Skills Coach) addressed the room, offering background to their history and passion towards the game. Cheika admitted he started coaching as "a way to travel"; now, as head coach of the Wallabies, he sees his strengths as being an authentic leader, offering honest feedback and capable of building a strong team atmosphere, including surrounding himself in good coaches to support his generalist outlook to team coaching, having quality people supporting and looking after the finer details. His brashness towards comments of current and departed Wallabies was evident; he believes the current crop of players involved in Australian squads are as strong as ever and is weary of the "excuse culture" for players heading overseas. This was strengthened by Byrne's attitude that Australian Rugby needs to work harder at all aspects of the game. Both coaches talked of their desire to have strong Super sides, backed up with individual hard work and being physically ready to compete but both are excited by the depth of talent coming through. They also thanked all present for the encouragement from the community and the support (and dedication to improve) grassroots rugby. Cheika summarised one of the overall themes of the day very well (although I paraphrased his point); Winning is a consequence of getting the other things right. All coaches highlighted the importance to stop prescriptive coaching and too much focus on shape and structure and exhibit greater concentration on gaining a better understanding of your current crop of player's skills, capabilities and motivations. All coaches, including the Wallaby representatives, stressed that player belief supersedes confidence, all being built from accountability, persistence, encouraging effort and understanding players needs as opposed to technical and tactical overload. The powerful message stamped down by all: Build the person's motivation and skills through understanding "why..." and you shall make a better player. As I have stressed before, find their passions and help them double down on their strengths; keep looking for problems to fix and all you shall see is problems. Millennials: Can we as coaches and leaders give them what they want and need? Millennials on the sports fields and in the workplace are getting coaches, managers and business leaders alike to re-think both how we approach and encourage the pursue of the boundaries of their sporting and innovative potential. However, like my current research is evolving and other suggestions from behaviorism researchers, do we actually know or understand fully what these young athletes or workers want or need? I have recently offered an analogy of young leaders today against leaders or managers from years past that you can "pull from your pocket"; see your iPhone as leaders or athletes working today. They look the same, work under the same conditions yet with new iOS software loaded in, the expectations and advancements are getting greater by the day. Tony Robbins referenced "the brain being old hardware, previously used for fight or flight responses; now we are looking to choose fulfillment over achievement". Simon Sinek famously recorded stating how Millennials are chasing purpose and impact yet lack the patience and effort required to find these desired emotions. Angela Duckworth has defined grit as "passion and perseverance", something can could be perceived as lacking from this generation of leaders and athletes coming through. What does this mean for us as coaches and leaders in how we should act? In sport specific research I have read around, Pelletier found that changes to people’s perceptions of competence and self-determined motivators should increase intrinsic motivations and identification while decreasing introjection, external motivators and amotivation in athletes (Pelletier, 1995). Also, results from Pope and Wilson’s studies showed athletes who perceive coaches to be supportive of decisions, provided with clear feedback concerning goal pursuits and engage with them in genuine and empathetic manner report greater need fulfillment, more self-determined motives and more perceived effort in sport (J. Pope & Wilson, 2012). Theories around self-determination such as Basic Psychological Needs Theory (BPNT) addresses the degree to which people’s behavior in a domain is governed by self-determined motivators (Adie, 2010). The areas addressed as basic needs requiring fulfillment include competence, autonomy and relatedness. Vallerand and Mageau’s research has shown that intrinsic motivations and self-determined extrinsic motivators are necessary ingredients for athlete’s optimal function (Mageau, 2003). Deci and Ryan’s research investigated that intrinsic motivation is experienced as consequence of feeling competent and self-determined. Intrinsic motivation leads to greater persistence, improved performance and enhanced well-being in a physical setting; this would help support Duckworth's research of grit whereby working towards singularly important goals being the hallmark of high achievers in every domain. While intrinsic motivation stems from innate physiological need of competency and represents the prototype of self-determined behavior, self-determined extrinsic motivators, which are extrinsic motivators which have been internally rationalized with oneself, become activities which are being carried out as are important and concordant to one’s values (Mageau, 2003). Self-determined forms of motivation also result in optimal behavior, resulting in peak performance and persistence (Deci and Ryan, 2008). Basic Psychological Needs Theory (BPNT) looks at offering and fulfilling involved people's autonomy, competency and relatedness or connection. However, perceived autonomy has emerged as a large predictor of motivation while competence and relatedness has served as small to moderate positive predictors (J. P. Pope & Wilson, 2014). Again, what does this mean for our current leaders and coaches? The importance of offering autonomy to our young leaders and having autonomy supportive leaders to have and offer a number of attributes. These include acknowledging and providing choice within specific limits and rules, providing rationale for tasks limits and rules, inquiring and recognizing other’s feelings, allowing opportunities to take initiatives and complete independent work, provide non-controlling feedback, avoid over control, controlling statements and tangible rewards and prevent ego involvement from taking place. 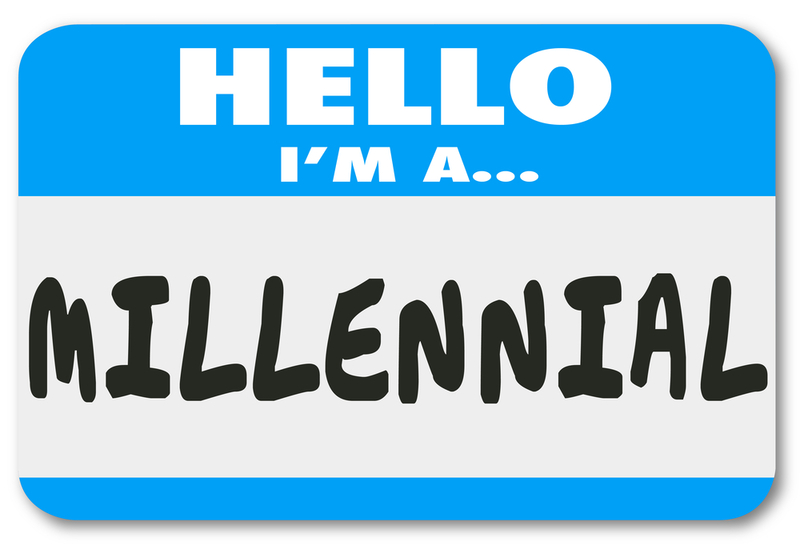 This shall help start to offer the engagement, purpose and impact these millennials are desiring and searching. Like explored by Dr Michael Gervais, is there a commonality connecting how the best performers in the world currently use their minds to explore the extent of extensions of their potential? Gary Vaynerchuk encourages young people today to "double down on what we are awesome at and what inspires us". What does this mean for us as coaches and leaders in how we should act or inspire? Encouraging young athletes and leaders to adopt a mastery approach to competency would encourage them to positively perform the task to the best of their ability and to self-regulated standards while attempting to continually learn and improve on an interpersonal level. An example of athlete’s pursuit of competence in theoretical stance would be achievement goal theory. Achievement goal theory “implies that people are goal directed individuals, participating in achievement settings with a view to demonstrate competence or avoid demonstration of incompetence” (Adie, 2010). Ultimately, the goal of action within achievement goal theory is the demonstration of competence; however, there is differences how the perceived competence is displayed and perceived by athletes and young leaders. Players aligned with task involvement goals, whom judge their competency through self-referenced targets or goals, are recognized as evoking high effort to obtain mastery and continually improve personal performance. Their ability and effort is not differentiated by others and the perceived ability is self-determined and success only realized when mastery is achieved. Ego involvement or orientation shows athletes more concerned with their evaluation against normative standards and recognize success as measurement against others, which is now infinity more conman in the world of social media, when performing as equal as others with less effort; therefore, not displaying striving for mastery or being focused on task. These players have ego based goals and they differentiate their effort and perceived ability, based on social aspects surrounding them, again displaying the lack the patience and effort required to find these desired emotions like suggested by Sinek. Relatedness or connection can be seen as establishing and maintaining secure attachments with others to feel recognized, acknowledged and belonging to environment as opposed to isolated and ignored. Past sports research has provided results showing “the more athletes perceived their coaches to be caring and involved, the more self-determined in their motivations towards sport” (Pelletier, 1995). Hollembeak and Amorose also “found autocratic behaviour had a significant negative relationship with feelings of relatedness” (Hollembeak, 2005). As studied by Mageau and Vallerand, athlete’s perceptions of relationship with coaches is assumed as essential for intrinsic and extrinsic motivations (Mageau, 2003). Therefore, it can and should be recognized that coach-player relations or leadership within the workplace effect can influence performance, welfare and motivations of people and athletes of all ages. Again, what does this mean for us as coaches and leaders in how we should act? To look at relatedness, leaders and coaches should start by raising expectations for what is needed and expected from connections to others. Meaningful connections is key here; using the iPhone analogy again, put your phone BACK IN YOUR POCKET. Engage on a significant and sincere level and teach our young athletes or leaders to do likewise. In sport specific research, Chan and Mallett recognized that high performing coaches require additional skills including ability to facilitate functioning leader-follower relationships, revolving around emotional intelligence and empathy, beyond the standard technical and tactical skills (Chan, 2011). Jowett’s research into coach-athlete relationships looked at the interrelated emotions and behaviors captured through constructs of commitment, closeness and complimentary, tied in later studies with coordination (Jowett, 2004). In this sports research, commitment within coach-athlete relationships is recognized as intention to maintain a loyal, long term relationship while showing closeness as mutual trust, respect and appreciation for roles played in partnership. The coach’s and athlete’s ability to have mutual relatedness, common ground in beliefs and actions while having stress-free interpersonal behaviors displays coordination and complimentary aspects for successful coach-athlete relationships. Both performance enhancement and physiological well-being is deeply ingrained within the development of meaningful relationships. All leaders and coaches need to acknowledge and recognize the effects of positive, interdependent relationships, which are dynamic and interlinked with cognition, feelings and behaviors to achieve common recognized goals (Jowett, 2007). The main aspects of influential and successful relationships revolve around ideals such as mutual trust, respect, support, cooperation, communication and understanding of each other and impact of each other within the relationship. Within team sports like rugby union, the relationship between team cohesion and sports performance is an important and positive connection; Carron’s studies recognized that social cohesion has a stronger relationship than task cohesion on performance. Recognizing the benefits of promoting autonomy in team atmosphere for self-determined motivations, democratic coaching styles vastly improve team task cohesion when accounting for commitment, closeness and complementary within coach-athlete relations (Jowett, 2004). LaVoi’s conceptual model recognized the importance of human’s need to belong and feel connected and close within relationships; this can be accomplished through key characteristics in relationships including authenticity, engagement and empowerment between the coach and athlete (Jowett, 2007). Part of the importance and difficulty of good working and sporting relationships stem around the perceived passion towards the sport, echoing Duckworth's research into grit being made of PASSION and PERSEVERANCE. However, an equally or unequally obsessive passion towards common interests or goals can result in externally regulated motivations taking control, with players, leader or coach being more controlled by outcomes which are regulated or recognized by others than those within relationship. Both parties having harmonious passion towards similar interests and goals should be positive for all dimensions for leader-follower relations and result in understanding of importance of pursuit of mastery yet not over whelming in each other’s identity. High quality coach-athlete relationships, which are optimized by harmonious passion, result in higher subjective well-being within player (Lafrenière, 2008), an area which is critical for age grade player retention and development of self-determined motivations and mastery mindset.